From July, 10th to July, 14th a meeting of the global ultraviolet community was held in Tel Aviv University under the title 'Ultraviolet Sky Surveys: The needs and the means'. 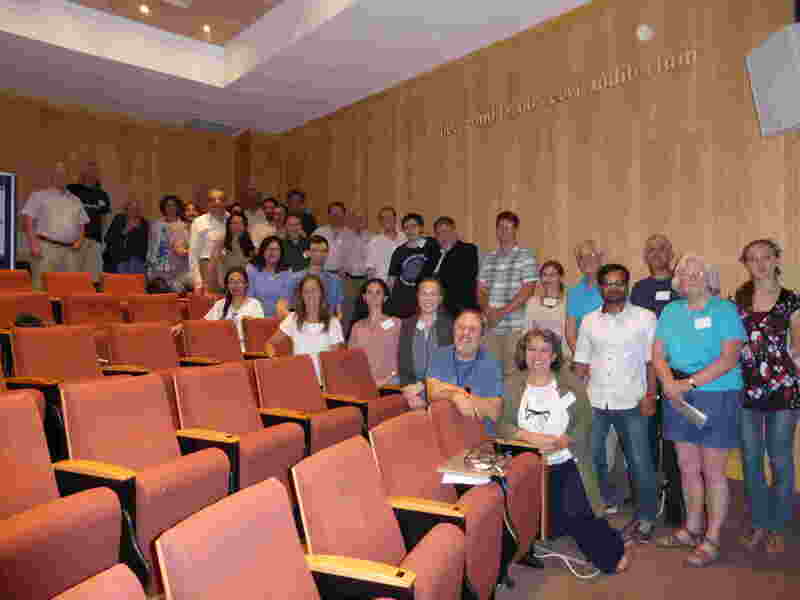 This group is part of the Global Network for Ultraviolet Astronomy, gNUVA. The main speakers were well-known figures of the ultraviolet (UV) astronomy, with a huge amount of experience in the field, from science to the development and management of space missions. Besides, young pre- and post-doctoral researchers presented their work covering all the possible topics, showing that the ultraviolet range is crucial no matter the field of study. A lot of work can be done in Exoplanets, that is one of the trending topics in astronomy nowadays, as well as in star formation and evolution (young stars, Supernova explosions, etc.). However, the UV is also important for the study of Comets and Asteroids, Supermassive Black Holes and even the reionization epoch of the low redshift universe. Thus, the main concern of the community is what will happen in the near future, as the reference mission, the Hubble space telescope, will be decomissioned. Nowadays, there are a few missions observing in ultraviolet. As UV science can only be done from space, it costs not only money but also technological efforts to develop a satellite devoted to ultraviolet. The big missions such as GALEX or Hubble have cost millions of dollars and given the scarce availability of resources, it is a problem to boost such projects. The currently working UV missions are the Hubble Space Telescope (that is pushing to the limit its lifetime), the small cubesat Astrosat-UVIT and two high energy missions that contains small ultraviolet/optical payloads: XMM-Newton and Swift. But apart from them, there is only one big mission that will be working in the following years: WSO-UV, which launch is scheduled in 2023. What will scientists do when this ultraviolet hardship arrives? They are squeezing out all the available data; the same observations are being used for several studies but there is a limit that sooner or later will be reached. To be ready for that, a great variety of missions have been proposed, some of them very ambitious, such as NASA's LUVOIR or HabEx. The impression is that everybody is trying to push strongly for a project, no matter how expensive it is. LUVOIR, HabEx, CETUS, ANUBIS, CASTOR and SPARCS were the projects presented in this meeting; some of them are big telescopes, others cubesat-type, but usually the purpose was to search for associates. Even a group from India was performing some experiments with stratospheric balloons. The main objective appears to be to develop quickly and with reduced costs new space telescopes, but the truth is that historically, these huge missions have required at least 20 years from conception to launch. Do we have an alternative? That was the question posted to the community. With ASTROSAT-UVIT as a reference, some of the participants sustained that while the main space agencies bet for huge missions, the smaller groups should try to launch cubesats, which are cheaper and quicker to develop. Actually, there was an invited speaker from the Israel space agency that assured that they had enough experience to have a flying prototype in less than a year, not taking into account the desing of the scientific payload. Therefore, the main topic of the discussion was: Do we need observatory-type satellites, or should be bet for cubesats? The general opinion was that both are necessary. It is fundamental that space agencies keep giving money for the development of the bigger projects because there are some capabilities that cannot be reached with cubesats. But schedule times have to be definitely shortened. We cannot afford to spend 20 years in a project because technology is evolving in leaps and bounds and the instrumentation becomes obsolete. In the meantime, we can test instrumentation and keep doing ultraviolet observations with cubesats. The schedule of the meeting can be consulted here. The talks are available in pdf format.